Meanwhile, heat the oil in a large fry pan on medium heat. Add zucchini, garlic, chilli and lemon zest and stir fry until golden for about 5 minutes. Remove the pan from the heat and add the lemon juice. Drain pasta, reserving ¼ cup cooking liquid and return pasta to the pan. Stir through the zucchini mix with cooked pasta, adding the reserved liquid if needed. Combine the ricotta, lemon and herbs and set aside. 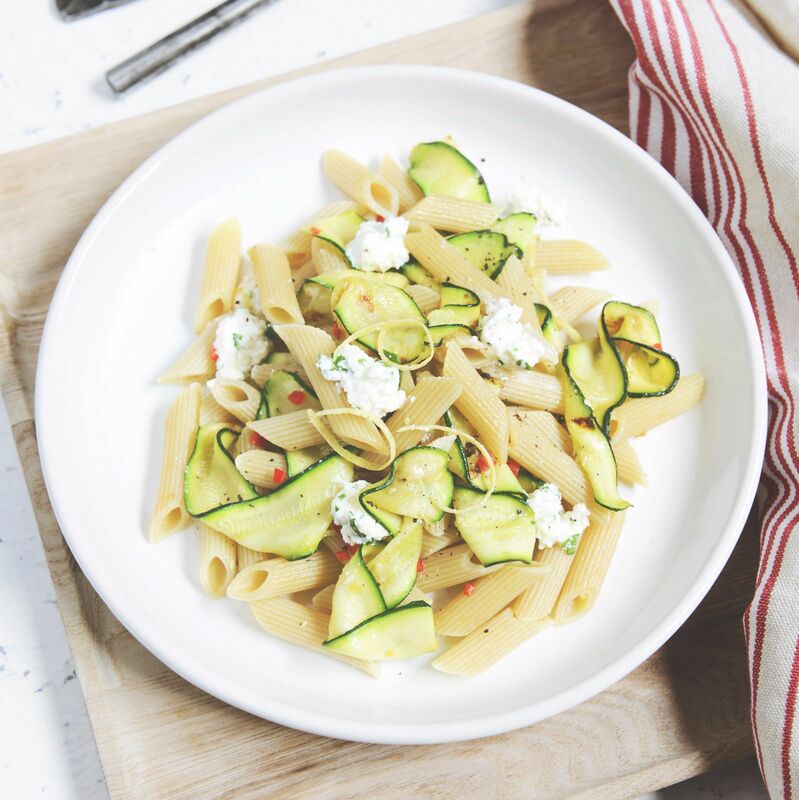 To serve, place pasta on each plate with the ricotta mix divided equally (approx. 50g) on top.